The 2 star Medplaya Rio Park hotel remains one of Benidorm's most popular holiday hotels. The hotel is centrally situated, not far from the old town and around 800 metres from the sunny Levante beach. The hotel's latest renovation was as recent as 2005. The surrounding area provides a range of shops, boutiques, cafes, bars, restaurants and a diverse nightlife. Transfers take around 40 minutes to make the 35 mile journey from Alicante airport. "this friendly 2 star remains one of Benidorm's most popular hotels..."
The Hotel Rio Park has a total of 456 bedrooms (48 of which are single rooms) spread over 12 floors. The unpretentious and comfortable rooms come with a a fully equipped bathroom, Satellite TV and air conditioning. Hairdryers are available from reception and cots are available on request. Check in from 12.00 and check out up to 12.00. 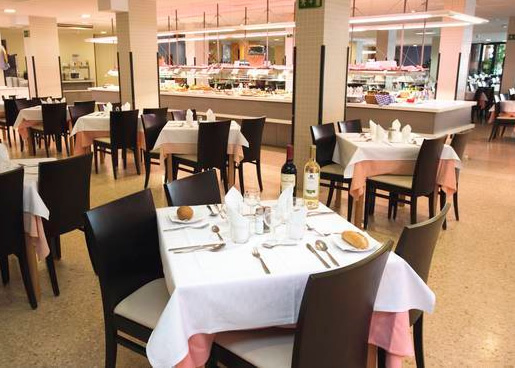 The hotel has a buffet restaurant, Opening Times: [08.00-10.30, 12.30-15.00, 18.30-21.30]. The hotel provides plenty of fresh local and international cuisine. If you are lucky to be here during the festive period there are Christmas and New Year gala meals. * The hotel has a British pub, just the place for a cool pint after a day in the Spanish sun. During the summer months there is a pool bar that is available for snacks throughout the daytime. * Opening Times: [12.00] The hotels Rio Connection bar has happy hour 3 times a week. The Medplaya Hotel Rio Park provides it's guests with an outdoor swimming pool, this is divided into three sections one of which is designated for children. There are sun loungers chairs and tables around the pool to help your relaxation. Children will enjoy the playground with its swings and seesaws. there is a games room and a table tennis table. * The hotel operates an evening entertainment programme. 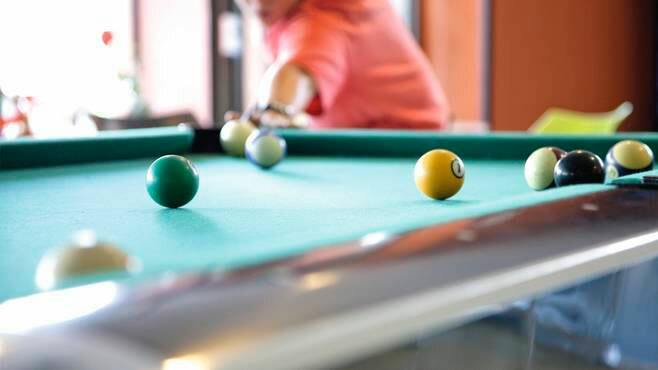 The Hotel provides a range of facilities to provide you with everything for a great holiday including: a 24 hour reception, free Wifi in reception area, a lounge with TV, Games room, Car rental desk (also available before departure - ask us for a quote), luggage storage room at reception. There is also a gift/souvenir shop. * Charges may apply.